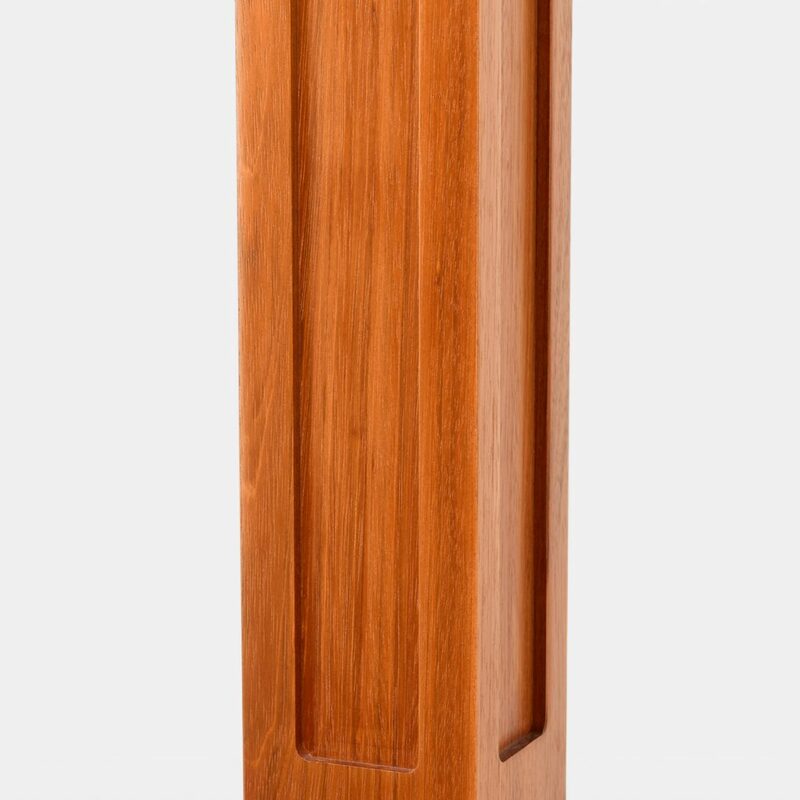 Refined and elegant, the 4603 Recessed Panel Ranch Newel features stunning details. 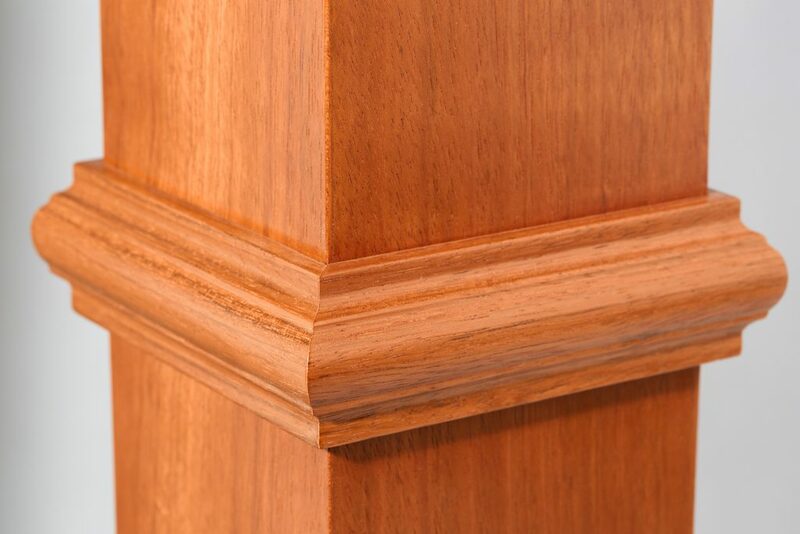 Perfectly mitered shoulder trim wraps this newel, while expertly milled recessed panels adorn each side. 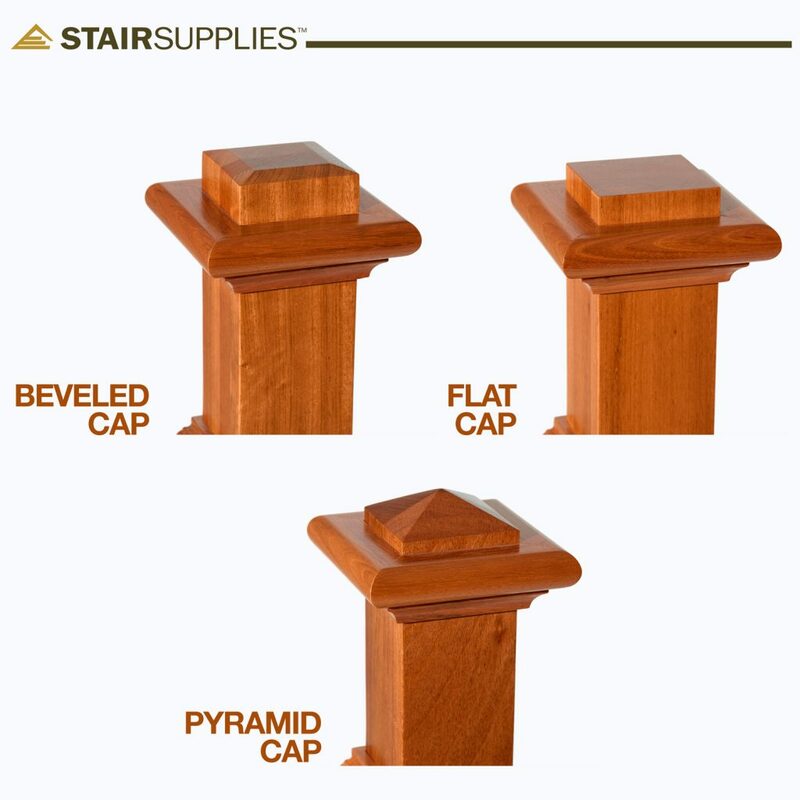 Top the solid, stain-grade 4603 newel with the cap of your choice for a timeless addition to your stairway. 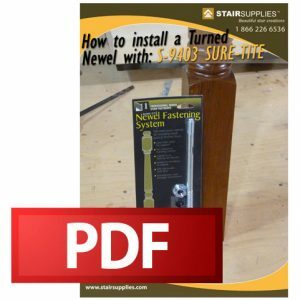 When installing your 4603 Recessed Panel Ranch Newel, you will need the Sure-Tite Newel Fastening System. Follow our Sure-Tite Installation Guide to establish a sturdy and secure fit. The 4603 may be installed either on the surface of the stair tread or beside the tread. Due to their precise edges, we have found that Ranch Newels look best on a square starting step. 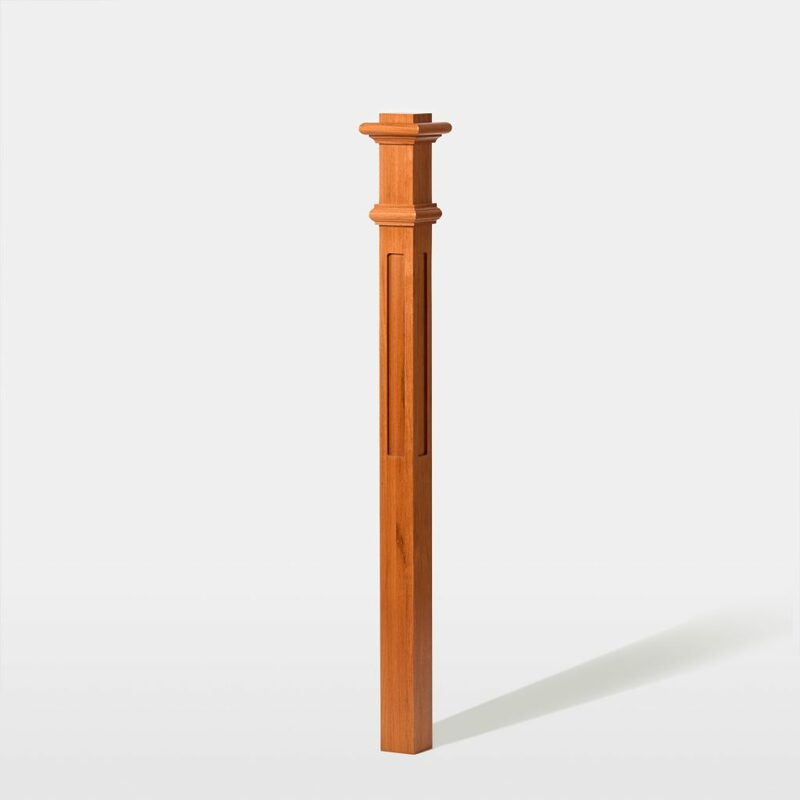 Join handrail to your 4603 Recessed Panel Ranch Newel using a rail bolt kit. Many configurations allow handrail to mount directly into the newel; however, if your handrail is joining with your box newel on a rake, you may also require a gooseneck handrail attachment. In order to maintain a consistent appearance when handrail must terminate into a wall, we offer Split Box Newels. Attach the partial newel to the wall, and your handrail can be secured like normal. If you would like your Recessed Panel Ranch Newel split in half, please select “Split in Half” in the dropdown menu above.